Donald Kizirian was recently honored by Riverside County’s Economic Development Agency’s Office of Foreign Trade for helping develop the area as one of the nation’s top 23 exporting regions. By opening its 16,000 sf packing facility, Mojave Gold LLC created more than 50 jobs in area and increased property tax revenues. 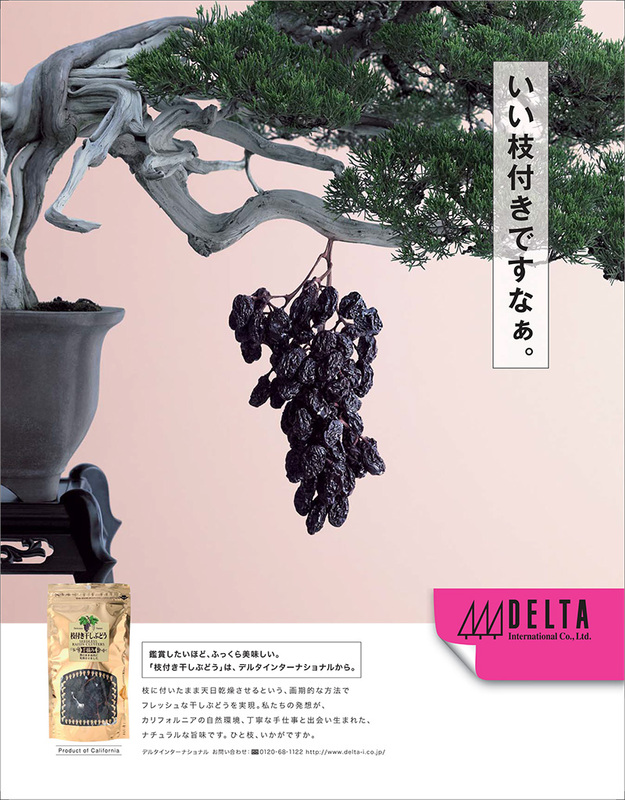 Raisins on the Vine are considered a delicacy in Japan, and are advertised as a premium item on a dinner table. Mojave Gold has been exporting more than 95% of his total production to the Japanese market for over 14 years. Raisins on the Vine are purchased in bulk and re-packed into different labels, packaging, and sizes for its distribution to a variety of high-end businesses such as cheese stores, wine bars, restaurants, and kiosks at malls, train stations, etc. 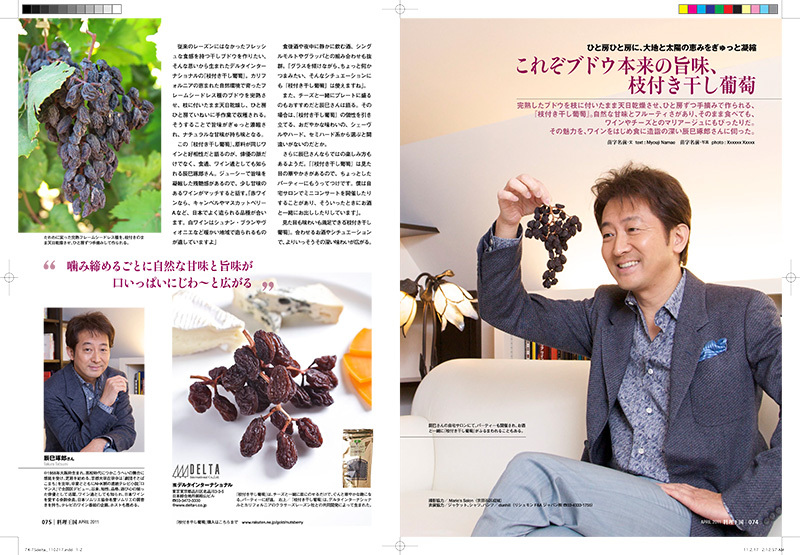 A well-known Japanese actor/ food critique Mr. Takuro Tatsumi featured in a gourmet magazine called “Ryori Okoku”(Cuisine Kingdome) where he introduced Mojave Gold Flame Raisin Clusters. Tatsumi says, “The raisins develops its natural sweetness and flavor in your mouth as it gets masticated.” He explains that Mojave Gold Flame Raisin Clusters go well with slightly sweet wines because of its juicy sweetness. He further explained, for red wines, Campbell and Muscat Bailey A etc (both are produced in Japan) are good with Mojave Gold Flame Raisin Clusters. He also suggests Chenin blanc and Viognier for While wines. Tatsumi also recommends enjoying it with cheeses. It is the best to choose Chevre cheese, hard cheese and semi-hard cheese to bring out the raisins’ flavor at its best. Tatsumi occasionally hosts small concerts at home. Mojave Gold Flame Raisins Clusters are a great party food because of its sophisticated look. He serves his guests with this raisins and some alcohol. He comments the taste of raisins varies and you can enjoy differently depending on alcohol and situations.